WEST PALM BEACH — Oreste Perez Jr.’s grin was about as wide as his hog’s belly. 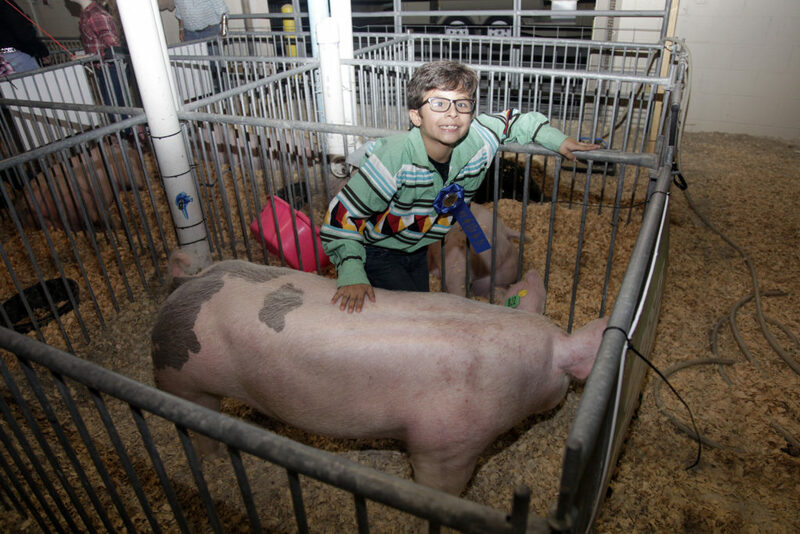 The 11-year-old had good reason to smile as he returned with his 275-pound hog, aptly named Precious, to the pens in the back barn area while proudly clutching a blue ribbon. While in the show ring moments earlier with about a dozen other competitors in his class, Oreste’s hog caught the all-important eyes of the judge. Selected as among the top five in the class for build, they were set aside from the others while the judge determined the order of finish. Oreste and Precious earned fifth place. While the previous night agility was the focus of judging, this night it was all about brawn, muscle and physique. 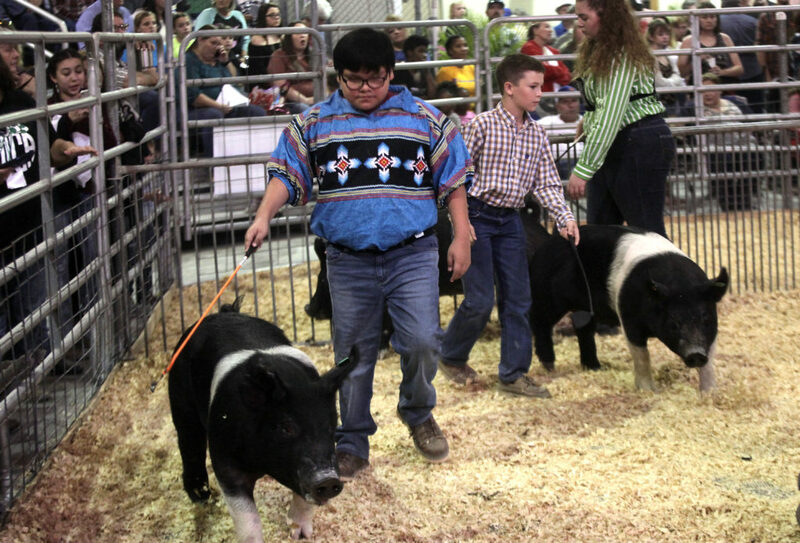 It was the start of the two-week South Florida Fair in West Palm Beach, and the Seminole Tribe was well represented in the hog show with Oreste and his brother Timothy Urbina, also 11, as well as Atley Driggers, 11, and Bailey Spurlock, 16. All four showed their hogs in front of hundreds of spectators for three days inside the Agriplex Indoor Barn. Oreste and Timothy are fourth-graders at Pemayetv Emahakv Charter School in Brighton. Atley is home-schooled. All three represented the Seminole Indian 4-H Club at the fair. Bailey attends Avon Park High School and she represented its Future Farmers of America program. In addition to Oreste and Precious, the other combinations were Timothy with 231-pound Lustee, which he said means ‘black’ in the Creek language; Atley with 259-pound Hampton, and Bailey with 258-pound Zeus. All four youngsters from the Tribe and dozens of other kids from throughout the region showcased their hogs in a variety of categories. 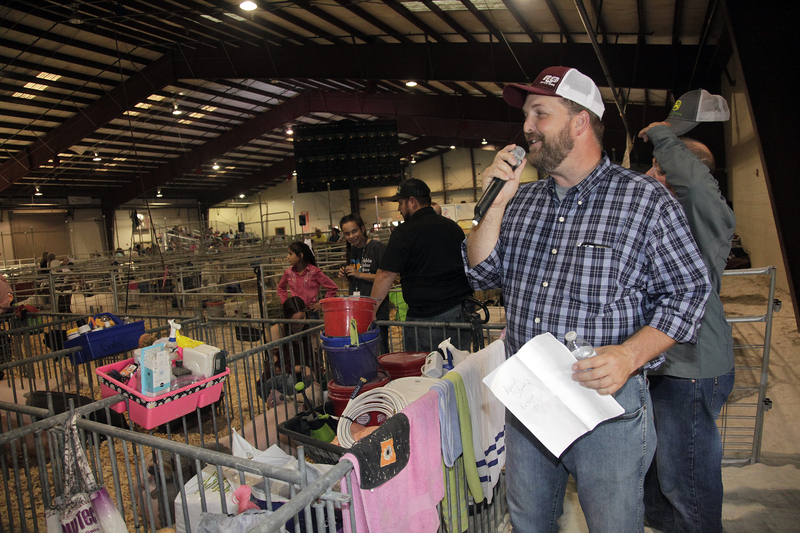 Aaron Stam, University of Florida 4-H cooperative extension agent, served as barn boss making sure all participants and their hogs made it from the pens and into the waiting ring in the right class and on time. 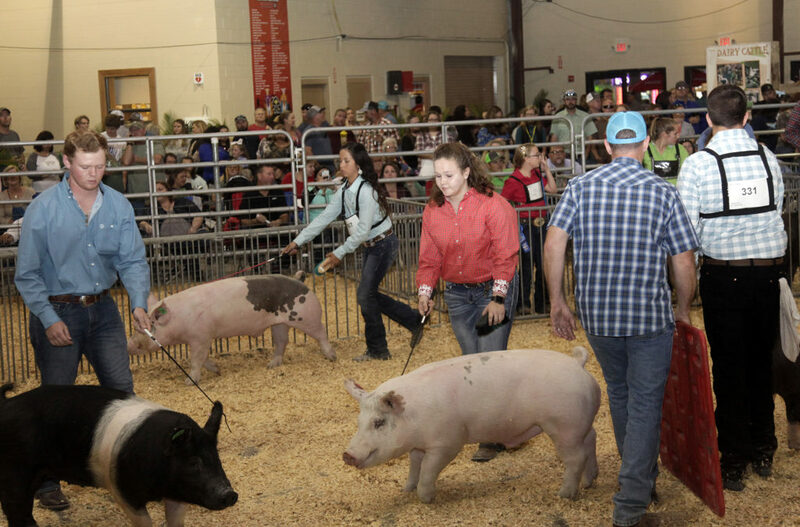 From there, Kimberly Clement, 4-H program assistant, provided assistance making sure everyone made it into the show ring in about an as orderly a manner as could be expected from a group of hogs. Stam is a familiar face in the back barn area, so much so that the kids often seek him out trying to get the early scoop on which class they’ve been placed in. Stam knows the hard work the kids exert with the care of their hogs, but he said enjoyment should be part of the equation, too. “I want them to have fun. 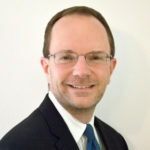 I’m a believer in trick them with fun into learning something awesome,” he said. Although the hogs might not return to the fair year after year, a lot of the same kids do, and they’re usually a year wiser. 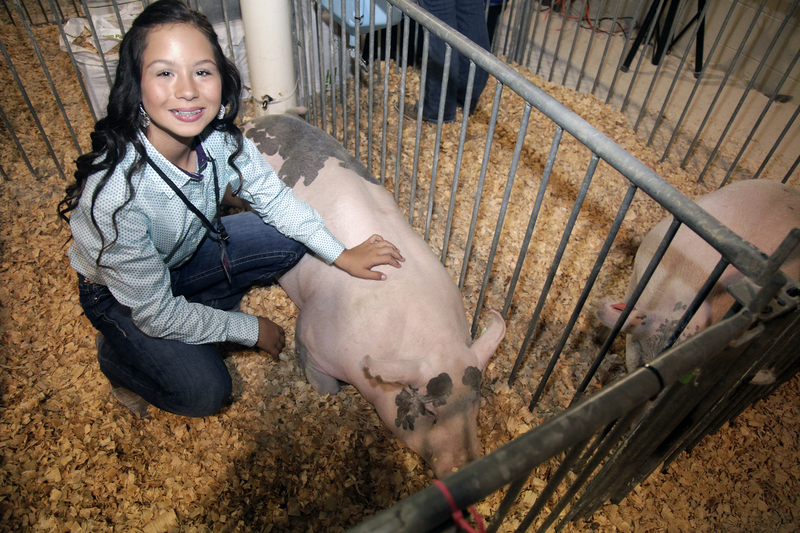 As important as winning ribbons is to the kids, grasping all the responsibilities and the hard work that comes with raising a hog and prepping it to show and for sale tend to be life-learning triumphs.